Growing up, my parents placed a fairly strict limit on the TV, only letting my brothers and I watch it after school on Fridays and on weekends. Which, because we usually had other things to do on the weekends, effectively meant that we only watched TV on Friday evenings, Saturday mornings and evenings, and Sunday evenings. TV just wasn’t a big thing in our house, but I do have fond memories of a handful of shows. One show that I remember being fascinated with was The Jetsons. This animated science-fiction sitcom was originally released in the early 1960’s, and although I was a bit too young to see it during its first run in 1962, in later years I did watch it on Saturday mornings. What really captured my imagination was the futuristic technology the show portrayed. Much of it has since come to pass: flat-screen televisions, electronic newspapers, and video chatting are just a few. I was particularly taken by Rosie, the Jetson’s household robot. But the big one, the one that we’ve all been waiting for ever since the show aired, was the Jetson’s flying car. People have been dreaming about flying cars for more than a hundred years now, and have been trying to build them for nearly as long (none other than Henry Ford tried to build one back in 1925). Because our infrastructure is so focused around automobiles, much of the effort has been aimed at building a literal flying car: a vehicle that can both fly like an airplane or helicopter, and then be driven on our roads like a car. Such a thing makes sense when you consider that otherwise you would have to drive your car to the nearest airport (where your plane is presumably kept), park, fly to the airport nearest your ultimate destination, and then rent or borrow a car to drive there. With a car that flies, even if you need some sort of runway to take off (which most of the ones that have been developed so far do), you would just drive your flying car to the nearest airport, fly to the destination airport, and then drive your flying car to wherever you were trying to go. That’s a definite improvement, but you would still need a pilot’s license, and you would still need to transform your car into an aircraft and then back again—a non-trivial task that adds significant complications to the vehicle’s design. After all that introduction, you are probably wondering what flying cars have to do with Redwood City. Stick with me: I’m coming to that. A lot of attention these days is focused on autonomous driving, but autonomous cars will still have to sit in traffic just like the manually driven cars do. That is why a number of tech visionaries—and some large corporations, including Boeing and Airbus—are quietly working on flying cars, mostly in the form of “air taxis.” Uber, for instance, has partnered with a number of companies in an attempt to develop a “fully functional, on-demand flying taxi service.” Google co-founder (and Alphabet CEO) Larry Page, too, has been funding an effort to develop autonomous air taxis. He created a company called “Kitty Hawk” that has created Cora, a fully electric vehicle that takes off and lands vertically and can carry two people a distance of 62 miles at a top speed of 110 miles per hour. Most people around here have heard of Boeing, Airbus, Uber and Larry Page. They probably haven’t heard of JoeBen Bevirt, but he may soon become as well-known as the others. JoeBen Bevirt made his fortune selling camera accessories such as bendable tripods: he invented the GorillaPod while he was a student at Stanford. Hoping to solve our commute problems in a unique way, in 2009 JoeBen Bevirt started Joby Aviation, which has “designed, built and flight-tested a fully electric, vertical take-off and landing passenger aircraft that is optimized for local and regional air-transportation-as-a-service.” Their current vehicle seats a pilot and four passengers, flies 150 miles on a charge (at a relatively low altitude: no more than a few thousand feet), and should ultimately be nearly silent when flying overhead (they claim it will be 100 times quieter than existing rotorcraft or small planes during takeoff and landing). The bulk of Joby Aviation’s operations take place in the Santa Cruz area. But recently they opened their second office, right here in Redwood City. If you had asked me where I would expect such an operation to be, I’d have guessed either somewhere east of Highway 101, perhaps, or south of Woodside Road (down towards the Stanford in Redwood City campus, say). In fact, as I discovered while walking along Broadway, they have taken over the old Eric’s Auto Body & Paint shop at 1661 Broadway, midway between Beech and Chestnut streets. Based upon the job postings (they are hiring!) the Redwood City jobs are mostly in the Electrical Engineering and software fields. Employees focused more directly to the vehicle’s physical design and flight characteristics work out of the Santa Cruz location, which makes sense given that their airfield is there. 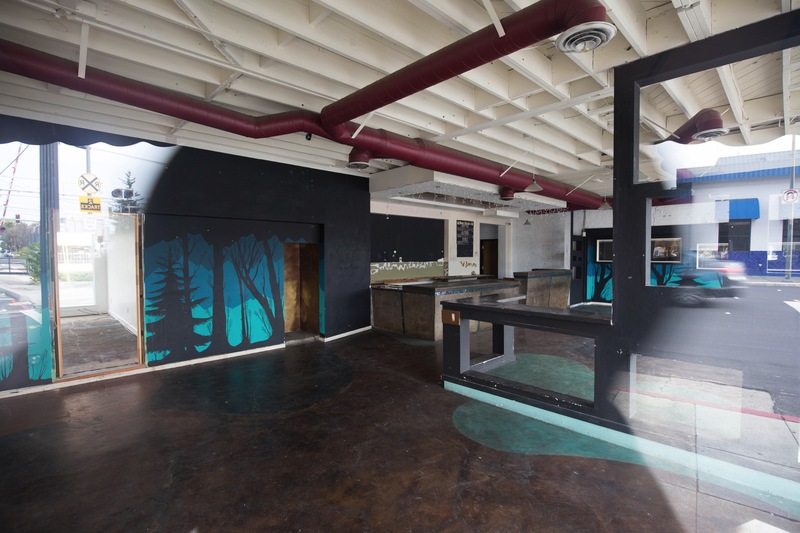 I’ve been wondering for some time who might take over the old body shop space, but never thought it would be anything like this! I’ll be keeping an eye Joby Aviation, not only because they now have a presence in Redwood City, but because I love the science of flight, and hope to ride on such a vehicle someday. Their air taxi may not be exactly like what the Jetsons flew in, but in my book it qualifies as a flying car—and it seems to me that it’s about time! I know that a number of Redwood City residents will join me in wishing Chris luck: she’s apparently looking for a new location. On the subject of seemingly sudden restaurant closures, what about Mandaloun? They began serving Mediterranean cuisine and pizza in their Broadway location back in October 2006, and as recently as February 10 were still receiving reviews on Yelp. But suddenly the signs have been taken down and the place is undergoing reconstruction. 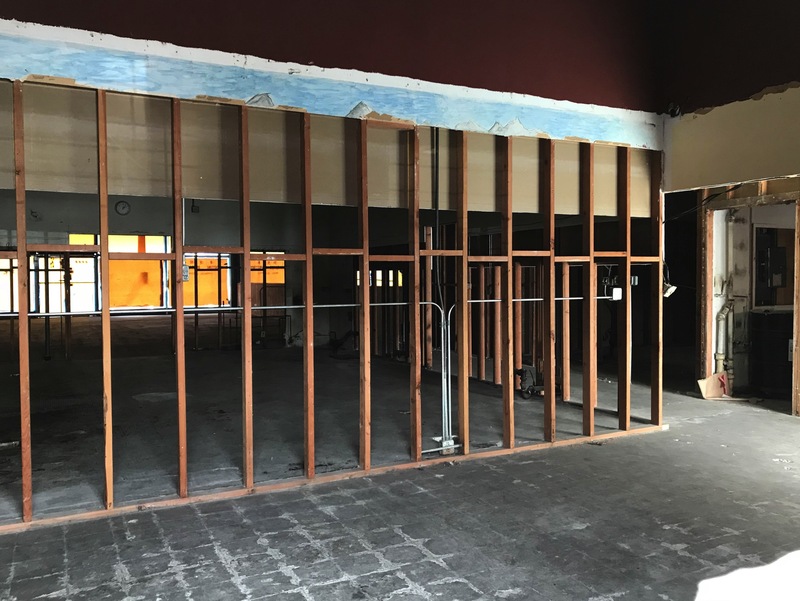 In its place we will be getting Courthouse 2021, which will be serving “seasonally-inspired Farm-Fresh American cuisine.” The remodel must be mostly cosmetic, given that Courthouse 2021 hopes to open by the end of this month. They are hiring for a range of positions, with jobs available immediately. I look forward to visiting Courthouse 2021, but do feel for all of the Mandaloun fans out there. It will be missed. I did notice two hard-hatted workmen entering the space, however, so the remodel may still be proceeding, albeit slowly. On a smaller scale, Fish’s Wild, the place on Theatre Way that served fish tacos and the like, is being replaced by “West Park Farm & Sea.” I have yet to learn anything about this new restaurant, but will keep digging. It’s possible that this is just a rebranding exercise, but it may well be an all new operation. I immediately wondered if they have any connection with San Carlos’ West Park Bistro, but I’m pretty sure that they don’t and that the similarity in names is just a coincidence. In any case, I’m guessing that we won’t have long to wait before we find out: the new signage is already up, and that often doesn’t happen until late in the game. 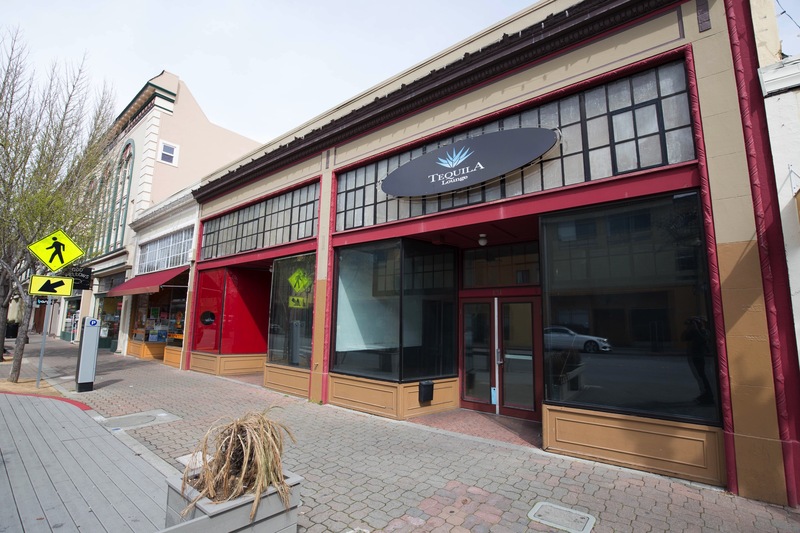 Over on Main, D Tequila Lounge and La Victoria Taqueria, both of which occupied space in the historic building at 851 Main Street, have closed. Along with the next-door space that was for a short time occupied by Farm Hill (who continues to deliver fresh meals from their kitchens in the old La Azteca space further down Main Street) and one other, these storefronts will relatively soon, it appears, be subsumed into the attractive 851 Main Street project. 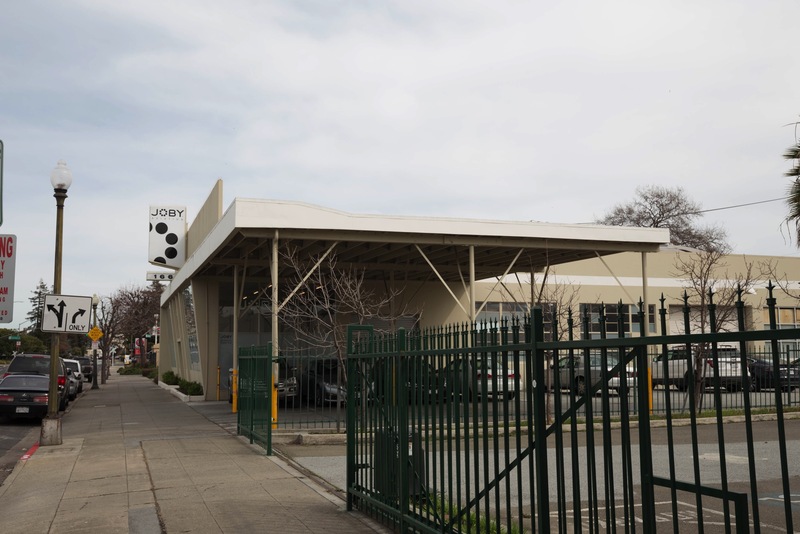 Although this proposed office/retail building would exceed Redwood City’s cap on net new downtown office space, and has some other challenges associated with it (notably around the building’s underground parking garage), if the reception the project received at Tuesday night’s Planning Commission meeting is any indication, it will have no trouble when it goes before the City Council (tentatively scheduled for June 11). 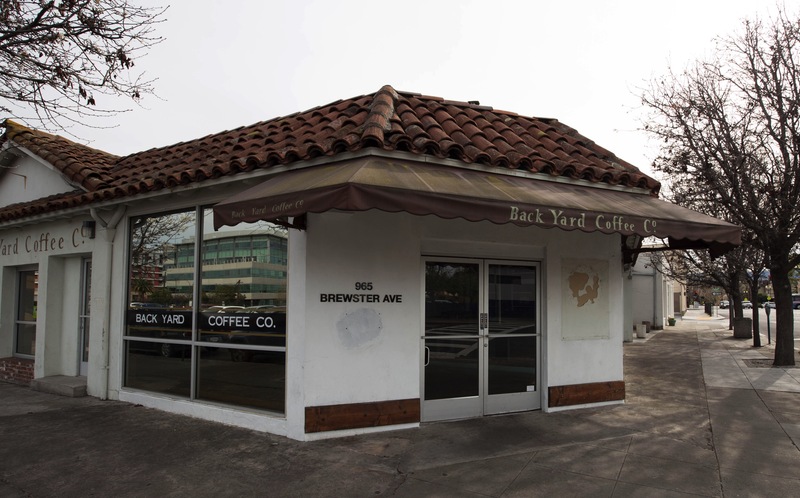 I’ll write more about this project in a future blog post, but know that, for now, these two restaurants are no more, at least in Redwood City. La Victoria, at least, still has locations in San Jose and Hayward. 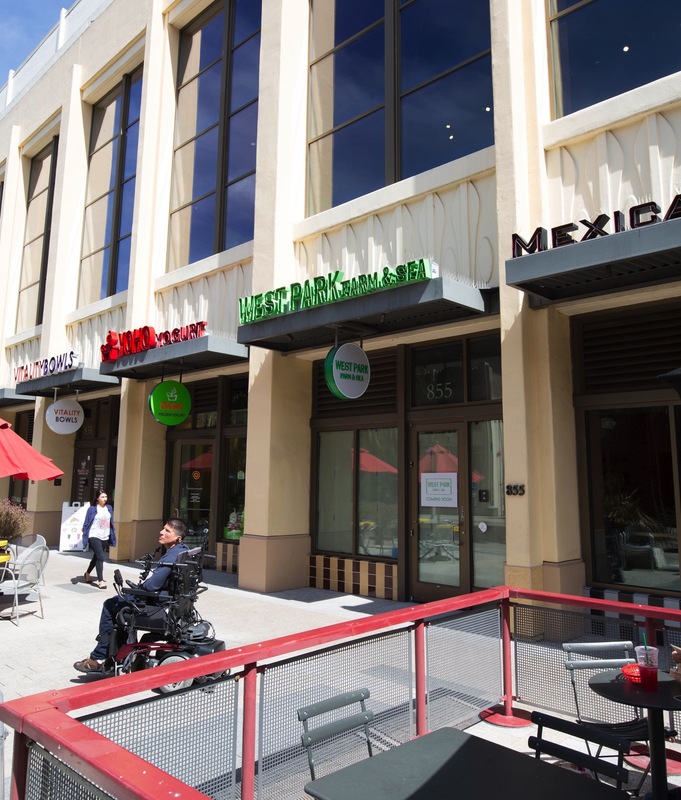 With all of these closings, down at Broadway Plaza (the mostly empty shopping center at Broadway and Woodside) I was delighted to see one restaurant fighting to hang on: Taqueria Mar y Tierra. They have a sign near their entrance that proudly states “Still open 7 days a week. Giving the best service and quality.” Given that it may be years, if ever, before the center is torn down and replaced by the proposed mixed-use Broadway Plaza project, it’s nice to see them still in operation. Here is some information on the opening of Courthouse 2021 . . . Thanks for including this link! It does provide a tad more background information that I did, although since Courthouse 2021 isn’t open Elena isn’t yet providing a proper review of the place. But for anyone who is curious about what is replacing Mandaloun, I would recommend reading the Mountain View Voice article that Samuel links to. Elena is a good writer and I always enjoy reading her reviews. Hi Greg, Can you find out about Harry’s Hofbrau? Rumor has it that it is closing but I don’t know if I have ever read anything on it or is it just a rumor. We go in their about once a month and it is always so busy. Retirees, young techies trying to get a healthy dinner. It would be a shame if it closed. “Harry’s-is-closing” rumors have been circulating for many years now. Nothing, it seems, lasts forever … so one of these years the rumormongers will probably be right. I’ll ask when I’m over at the BevMo on Wednesday for the city’s Bike & Pedestrian Safety Improvement Study information gathering, which is taking place in the BevMo parking lot on Wednesday the 28th from 4:30 to 7:00 p.m. (in case you are interested in seeing what the City is planning and want to give your own feedback).